Aziz Jehan Begum Trust for the Blind was established in 1989 by Ms. Salma Kishwar Jan as a perpetual tribute to the life and memory of her mother, Aziz Jehan Begum, who suffered serious visual impairment due to “Retinitis Pigmentosa” at the age of forty and total loss of sight in the last four years of her life. 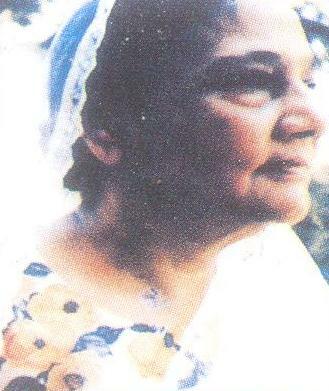 It was Aziz Jehan Begum’s wish that a charity be established for the blind to lead a better life. The Trust is a realization of that wish. It is an enduring reminder of her bravery, determination, fortitude and faith to mark her life and inspiring manner in which she faced this great loss. It is a guide for those who cannot see and a tower of light for those who can. 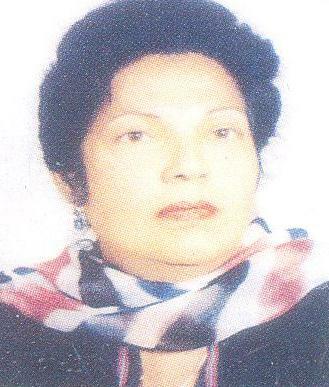 Miss Salma Kishwar Jan a distinguished Civil Servant and successful diplomat established the Trust with her personal savings, modeling it on similar programes for the blind as in UK, USA, Canada and Australia. It became her life mission. It is the greatest honor and best way in which a daughter can express her gratitude and love for her mother. Reach out to the large mass of the Visually handicapped who have remained outside the purview of existing facilities, especially the youth who are still in the educable age. Provide educational, vocational training and job placement support and to expand employment opportunities. Identify the job which the blind can do with the aid of special devices and those without such aids and thus widen the possibilities of their absorption into non- traditional areas. Develop recreational and positive leisure-time for all age groups which aim at ‘whole’ personality development. Create community awareness and motivations to organize community-based vocational and recreational programs for the visually handicapped in the community. Break down rigid societal attitudes, prejudices and perceptions towards visually handicapped persons, whether they be children. Adolescents, adults or senior citizens, male or female. For the first time in Pakistan with the efforts of CEO Mr. Muhammad Salahuddin Jeddy a permission was obtained from CSS, PPSC for the Blind to appear in their qualifying examination in braille or on computer. 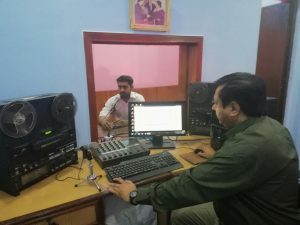 Aziz Jehan Begum Trust Institute for the Blind which was established in 1996 is the only educational Institute for the Blind where English is the medium of Instruction keeping in mind that computer literacy, books and other material throughout the world is available only in English. The only educational Institute where every member of the faculty should possess a Master’s degree and after successful completion of an intensive training program of three months in English, Urdu, Mathematics Braille and Orientation and Mobility are confirmed in service. The only Institute for the Blind in Pakistan where General Science (Science, Arithmetic, Algebra and Geometry) is compulsory. Computer Science is an elective subject in Matriculation Examination but it is compulsory here. Computer Science is taught to the students in this Institute since 1997, appearing in it in the Matriculation Examination since 2001. Ours are the only students in Pakistan who appeared in Computer Science in the Matriculation Examination since April 2001 and have always secured First Division results. 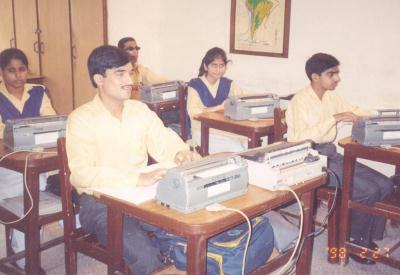 At the special request of AJBTrust, the Board of Intermediate and Secondary Education allowed the option of Braille to Blind students in 1999 and University of The Punjab in 2003. 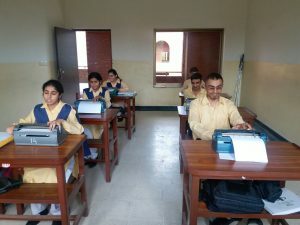 It is only our students in Pakistan who are capable of writing examination papers in Braille or on Computer. The only Institute for the Blind in Pakistan where all teachers are proficient in English, Urdu and Mathematics Braille. Consequently, all our students without exception are also proficient in Braille. All tests and examination papers from class 4 onwards up to Matriculation are in Braille. Exclusively developed and prepared by Aziz Jehan Begum Trust is The only English-Urdu Braille Dictionary in the world used by our students and also by some other institutions to whom it was gifted by us. In 1996 the Trust started Braille transcription of textbooks, some classic novels, English story and poetry books. This is a continuous process. 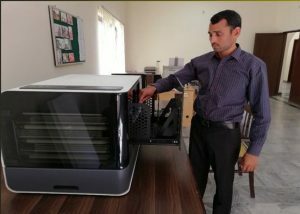 The only Institute for the Blind in Pakistan has such a large range of specialised equipment of assistive technology which no other Institution, School, Organization or Association has. The only Institute for the Blind in Pakistan where every student is issued an appropriate imported’ White Cane’, and those who pass the Matriculation Examination and leave AJB Trust Institute are presented with an imported White Cane. The only Institute for the Blind in Pakistan, which runs a summer school with educational and recreational programmes. Weekly visits to places of interest are also arranged to broaden their spectrum of knowledge. A sixteen member Scottish Pipe Band is the first and only band of Blind students in Pakistan. Introduce modern technology to bring Blind students at par with their sighted peers.